4seven launched with 20 hours of content in the schedule per day. In the 8.00 pm and 10.00 pm slots the channel broadcasts a repeat of shows from the previous day that have created a critical buzz in newspapers, chatter on social media through Twitter and Facebook and reaction on the overnight log of comments kept by the broadcaster. The 11.00 pm slot is used to repeat the programme shown on Channel 4 at 9.00 pm, which air again on 4seven at 9.00 pm the following day. The rest of the programmes on 4seven are reruns of the most popular ones of the week. Weekends are devoted to multiple repeats of the best-rated programmes of the past seven days. The service was originally reported under the working title of ´Project Shuffle´, though it was announced on 8 March 2012, that the name would be ´4seven´. The channel was originally set to launch by June 2012, however it was subsequently reported to be launching later in the summer. 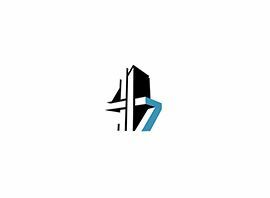 On 22 May 2012, it was confirmed that 4seven would launch on 4 July 2012. The channel launched across all major TV platforms in the UK, with agreements in place for carriage on Freeview, Freesat, Sky and Virgin TV. The channel indirectly replaced the temporary More4 +2 on Sky. While on Freeview, a placeholder for 4seven appeared on channel 47 in post-digital switchover areas on 2 April 2012. A high-definition simulcast, 4seven HD, launched on 1 July 2014 on Freeview channel 111.